We are holding a Silent Disco after last years amazing success... tickets are £12 per person. Get your tickets fast as we did sell out completely last year. 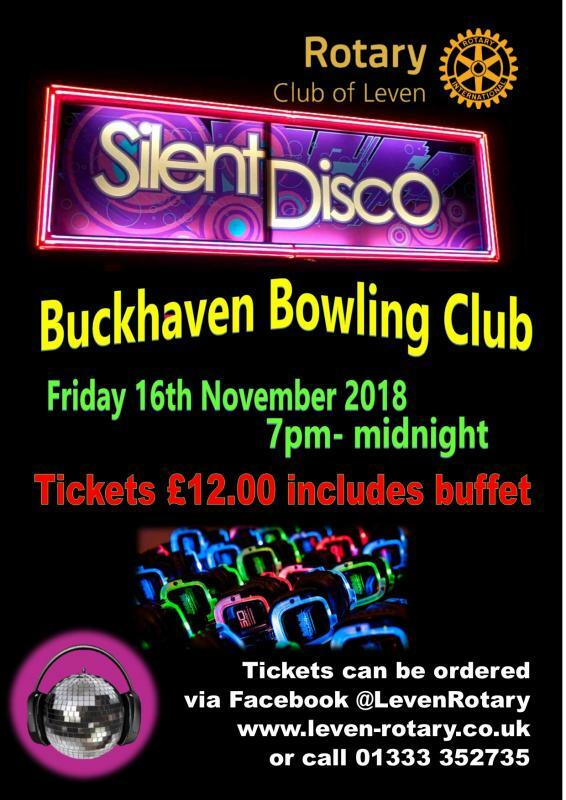 We are delighted to have another Silent Disco by Haud Yer Weesht on Friday 16th November 2018 at Buckhaven Bowling Club. Tickets can be purchased from President Scott Dryburgh or Rotarians Rai Valentie and Julie Brownlie Alternativly they can be ordered by clicking here! !